Class. This car has it. Arguably more than any other Merc, possibly more than any other car, no vehicle bestows on its driver such an aura of sensible, refined taste as the 1976-1985 W123 coupe. 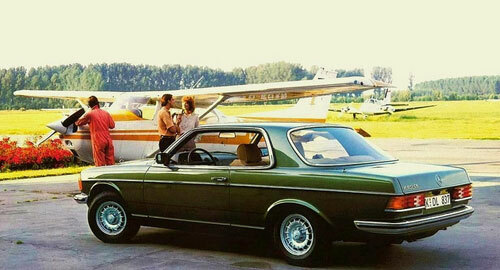 The W123 coupe is not a car of extremes. It’s well-built, but not so well-built as to be priced into the stratosphere. It’s graceful, but not flashy or ostentatious. It’s classic-looking, but not tinny or fragile in appearance. And neither is it very slow or very quick, but exhibits perfectly adequate performance, at least in gasoline-powered 280CE guise. The coupe version of the W123 sedan featured in the last installment of this series, it shares all the sedan’s fine attributes—the satisfying bank-vault thunk of the doors, the interior materials spec’d to outlast a nuclear war, etc—and adds just the right dose of flair with the teardrop proportions and pillar-less side windows foreshadowing the later W126 coupe‘s treatment. 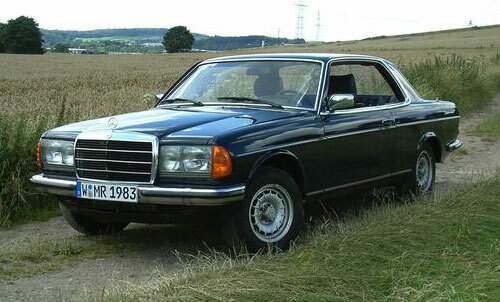 The mental image I have of the W123 coupe driver is a discerning individual, someone who appreciates timeless objects but has an eye for design as well. They’re the kind of person who organizes every decorative element in their house just so, arranging it all (with an effortlessness, natch) so that nary a line or shape is out of place. And yet there’s an earthiness to the car that implies the owner is approachable, relatable, not some head-in-the-clouds ivory-tower elitist, inscrutable designer or aloof hipster. It’s unassumingly charismatic. If every personality type represents a discrete bubble, the W123 coupe exists at the point of convergence of the greatest number of them. And naturally, I want one.